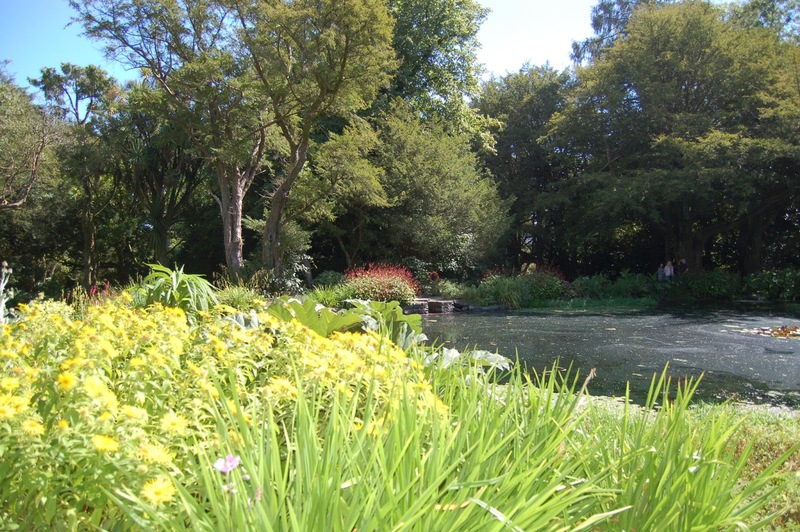 On our way to Wexford, we stopped off at Kilmacurragh Botanic Gardens between Wicklow town and Rathdrum. (www.botanicgardens.ie/kilmac/kilmvisit.htm) We meandered through the winding paths through lush plants and lawns and took some wonderful photographs of the wildlife surrounding the gardens. After stretching our legs, it was time to relax and unwind in the café for a bite to eat before proceeding on to Gorey Wexford, and our destination the four star Amber Springs Hotel. While waiting our late check in, my friends and their family sauntered around the back of the hotel to see the Amber Gardens and discovered there was a falcon display. My children were able to stroke and handle these lovely creatures, obviously under the trainer’s supervision. It was a glorious day in August and the sun was shining, so what could one do, but have afternoon tea al fresco and watch the kids play in the outdoor playground. We finally checked in to our hotel and were given very spacious inter-connecting family rooms and stayed on a very good deal of three nights’ B&B. Two of the evenings we ate in Notes Bar as the food was so good. I could not resist the fish and chips and devoured it but on the third night we visited Gorey town to eat in a lovely restaurant called Kitty’s. In the hotel there are two really good restaurants called Kelby’s (all the ingredients come from Redmond farm) and Farina restaurant that boasts a wood fired oven for those classic pizzas. Amber Springs have an ideal kids club and the little ones never got bored as there is so much to do. 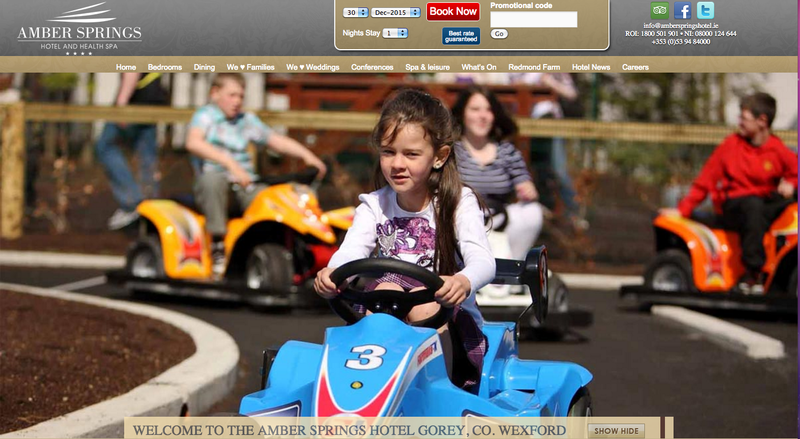 Amber Park has outdoor games from co-karting, mini golf, football and of course the Amber train. For those indoor wet days, the kids club have a play zone for the younger children, cinema and games room. Upon arrival from a very adventorous excursion, the kids would race up to the club for a play. 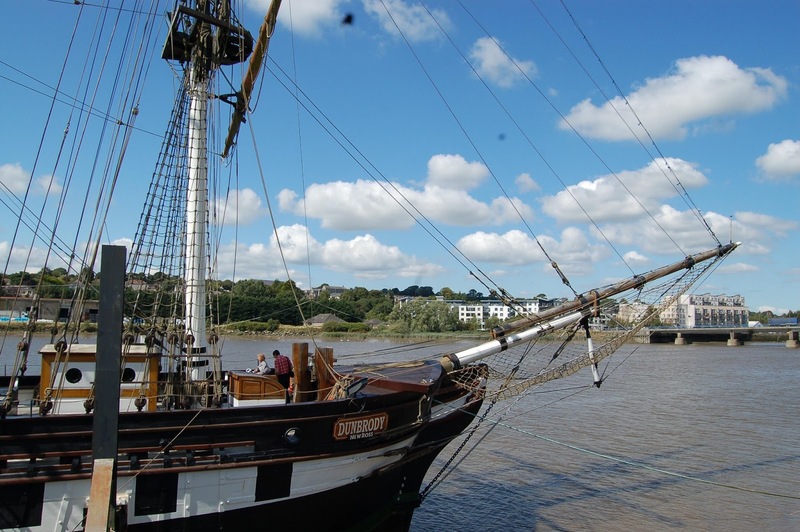 After a leisurely breakfast we travelled to New Ross, approximately an hour away, after a stroll around the shops and lunch, we made our way towards the Dunbrody famine ship. For thirty years the ship, which was once a cargo ship, made that dreaded journey from New Ross to New York. Leaving their miserable, dreary lives behind, these poor passengers made a promising journey to seek a new life. There is a short video about some young families whose relatives had written about their better lives in the States. The curtains got pulled back and we boarded the famine ship. There was a re-enactment of two women, one called Anne White whose husband was sickly and their five kids were put-up in third class. Another lady called Mary O’Brien was in first class and looked down on poor Mary, who unfortunately did not survive the long journey, nor her husband, but the kids made it to New York. We looked around the cramped cabins that held 4-6 people to each bed. Captain Baldwin was a fantastic person, who managed to keep the mortality rate unusually low and he worked on the ship for twenty years, he got paid a salary of £1000. He was extremely dedicated and cared deeply for his passengers. 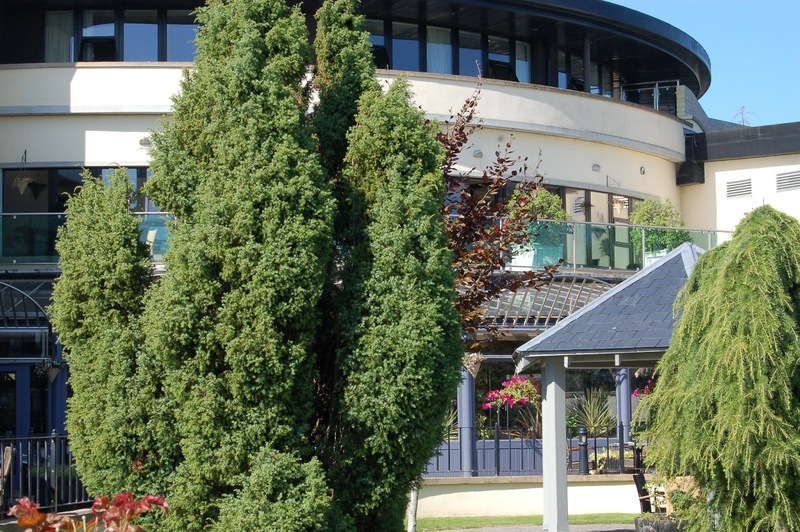 Our visit to Gorey, Co.Wexford, was really enjoyable, and educational – especially as the Amber Springs Hotel catered so well to everyone’s needs. 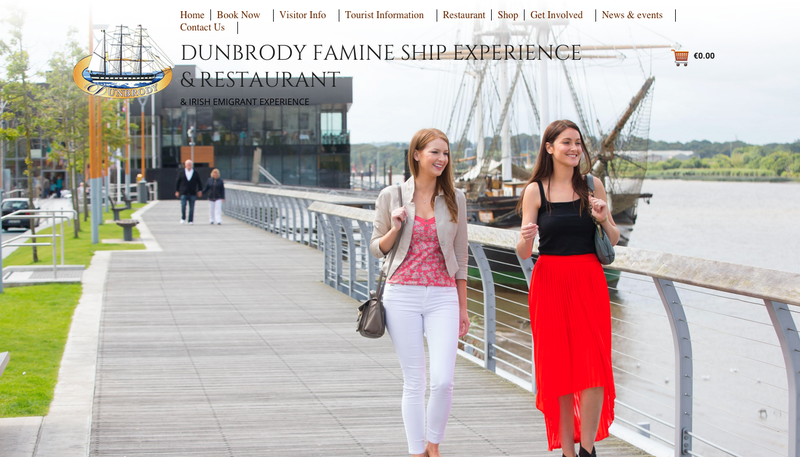 Dunbrody Famine Ship, The Quay, New Ross, Co.Wexford.